One complaint that is always made about the iPad (and iOS devices in general) is the lack of Flash support. But after Apple loosened the restrictions on the App Store guidelines, we started seeing browsers that would let you play Flash videos on the iPad. However, Flash-based games, such as ones found on Facebook, were still a no go. Not anymore though. iSWiFTER lets you play all those Flash games that you love on the iPad. 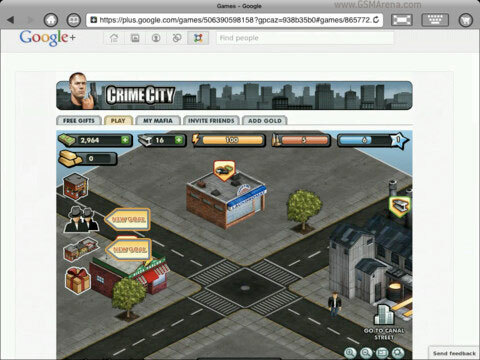 Whether it is Facebook, Google+ or any other site that offers Flash-based games, you can now play them on the iPad through this nifty little browser. Of course, you can also view other Flash content in iSWiFTER, such as videos. iSWiFTER is free to download but offers only 30 minutes of play time, enough to give you a feel of how it works. If you want to continue using it, you can use the in-app purchasing option to purchase the full version of the app for $4.99. So now if you were holding out on buying an iPad only because of the lack of Flash support, you don’t have to do that anymore.